Eugue-Ryu was originally founded by Kensenzu Yamaeugue as a Japanese Jujutsu system that specialized in Ate-waza (striking technique). The system was moved from Japan to a Japanese occupied area of Korea where it was undoubtedly influenced by Korean Martial Arts. Many of the Martial Arts currently practiced in the United States were brought to us through the efforts of our dedicated military personnel and combat veterans stationed in these foreign lands. Ray E. Flowers, a member of the U.S. Army Air Corp, who was pursuing the study of Martial Arts while stationed in Japan, was sent to the Kimpo Air Base in Korea. It was here that Sensei Flowers began training in Eugue-Ryu in a small village near the air base. “I was amazed by the fantastic hand techniques at this school” Ray Flowers relates to Sensei Michael Young about his start in Eugue-Ryu. In a letter from Mrs. Ray Flowers to Sensei Shane Topp, Mrs. 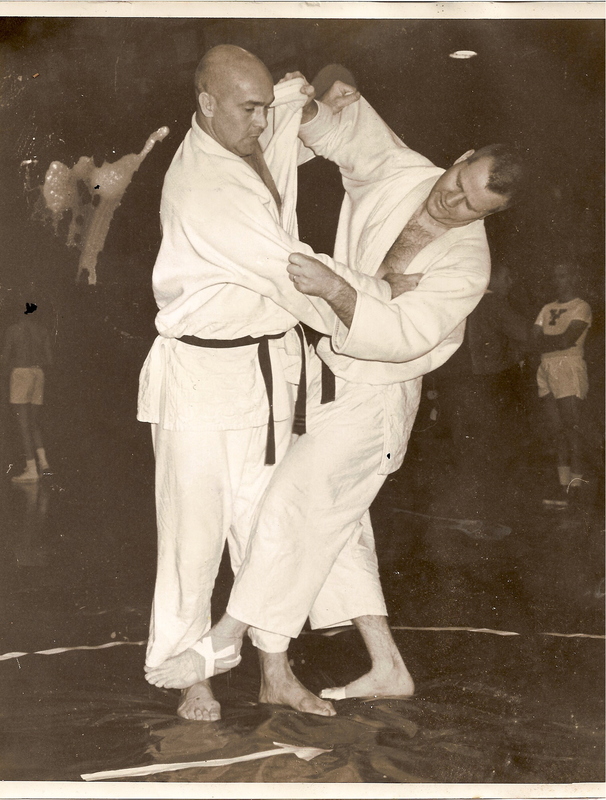 Flowers states “Ray spent a lot of time with the locals while in Japan and Korea.” Sensei Flowers was promoted to Nidan in Eugue-Ryu, a 5th Dan system, in 1947 and after his discharge from military service in late 1949 he continued training and began teaching Eugue-Ryu in the U.S. He continued this until the early 1960’s when he passed this responsibility to his successor, Oscar H. Adams. Ray Flowers Sensei passed away on Feb. 27th 1993. Sensei Adams developed the Budo Kai Karate Club through which he taught and promoted Eugue-Ryu while also teaching a separate class in Kodokan Judo through the YMCA in Lima, Ohio. Oscar Adams produced many excellent Martial Artists in both Karate and Judo. Several of whom went on to establish their own clubs and classes. 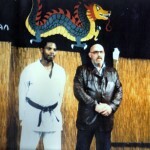 Before leaving the area around 1980, Sensei Adams had appointed his own successor to Eugue-Ryu, Sensei Michael D. Young. Eugue -Ryu having already been well established in the area was taken to new levels of competitive excellence in the sport arena through the efforts and accomplishments of Michael Young. After winning the title of Ohio State Black Belt Grand Champion three times, Sensei Young set out to produce champions of his own. Continuing a now long standing tradition, Sensei Young along with long time Black Belt and Eugue-Ryu instructor Tony Haithcock, trained and produced many excellent competitors and state level champions. As these students became Black Belts and instructors, some of them in turn began training their own students. In the mid 1990s their was a meeting with some of the top Black Belts that included Sensei Young (the chief 5th Dan), Tony Haithcock, and the former Head of the System Oscar Adams. Among topics discussed was the need to update the Eugue-Ryu system from a 5th Dan to a 10th Dan system to be comparable with the rest of the Martial Arts community and taking into account the teaching of younger students as only adults were trained in the early days of Eugue-Ryu. The decision was made that the grading system would be updated and Oscar Adams would serve as the figure head 10th Dan with Sensei Young continuing as Head of the System and this responsibility passing to him in the event that something happen to Sensei Adams. 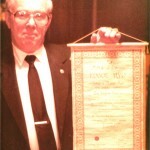 Sensei Young was promoted to 6th Dan at this meeting. In September of 1998, Sensei Young established a board of Black Belt instructors that would serve as Head of the System in his absence if need be. Among these board members was Sensei Shane Topp. In March of 2006, Oscar Adams Sensei passed away. 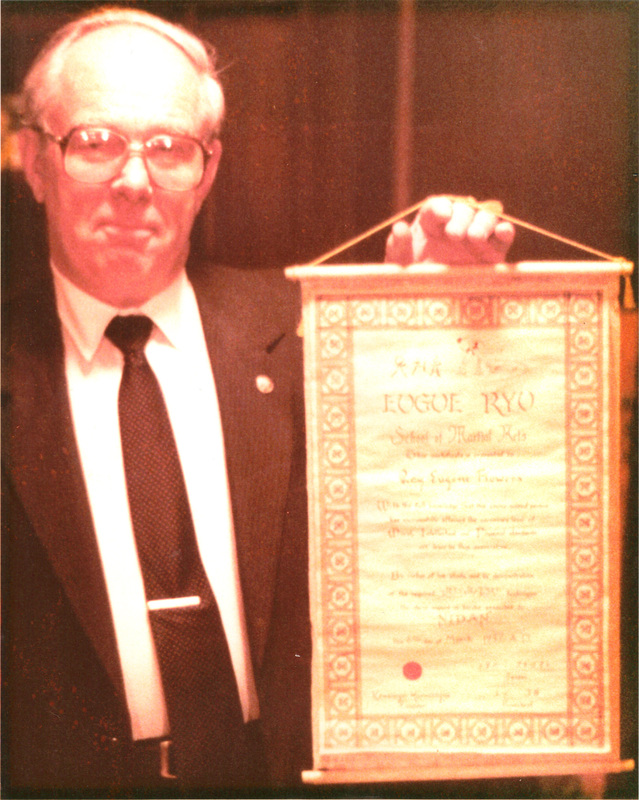 In 1994, Sensei Topp officially established the Eugue-Ryu School of Martial Arts in Wapakoneta, Ohio. After the board of directors dissolved in 2000, Sensei Topp established the Jukido-Kai organization in January 2001 in order to continue to promote the Eugue-Ryu system, to incorporate other arts into the training, and to differentiate his own branch schools. In April of 2009 Sensei Topp was promoted to the chief 5th Dan of Eugue-Ryu Karate-Jutsu by Sensei Young at his school in Wapakoneta in front of his students and members and witnessed by Sensei Tony Haithcock. In October 2010, the Eugue-Ryu System was officially updated from a 5th Dan to a 10th Dan system. On October 23rd 2010 Sensei Topp was promoted to 6th Dan and publicly named the Head of the System of Eugue-Ryu at a tournament in Lima, Ohio in front of all participants and spectators and members of various Martial Arts schools and organizations. Sensei Topp has recently been promoted to the rank of 10th Dan. 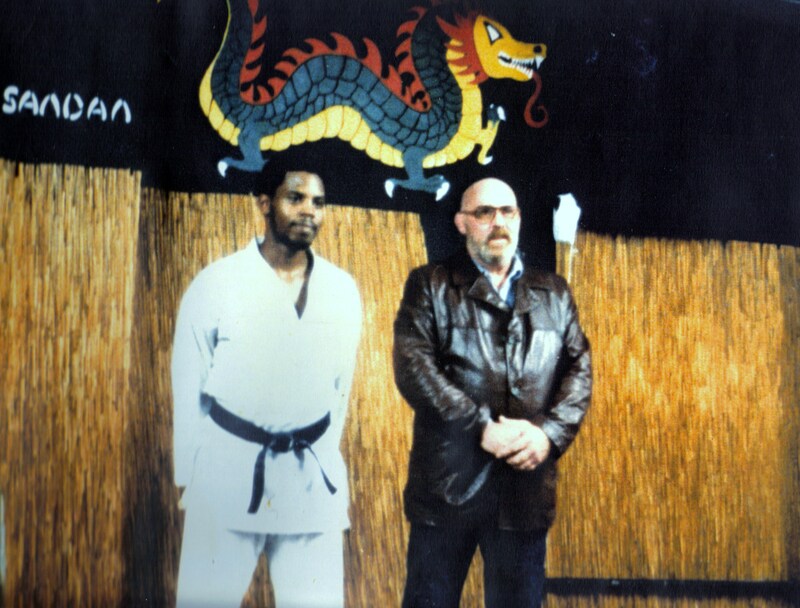 This page on the history of Eugue-Ryu is dedicated to Sensei Michael D. Young. Thank you for your many contributions to our art.